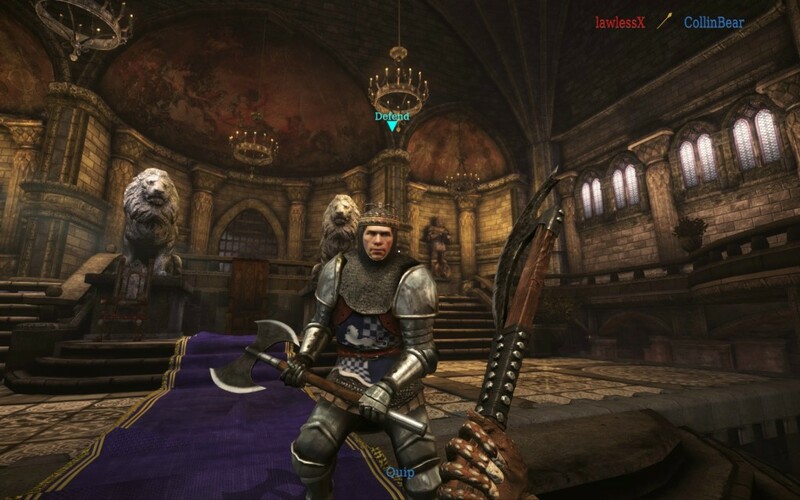 The war between the Knights of Agatha and the insidious Mason Order began in 2008 with the Half-Life 2 mod Age of Chivalry. The orginal offered us a fast paced slasher with a sophisticated combat system that required insight and quick reactions. Four years later, Torn Banner Studios have turned their former Mod into a full game together with impressive graphics and sound. As the game is multiplayer only, the story is rather thin. The basic premise is that the fictional nation of Agatha is suffering from a civil war incurred by the conflict between the Agathian Knights and the Mason Order. Players can choose to join one side and fight for the control of the region. 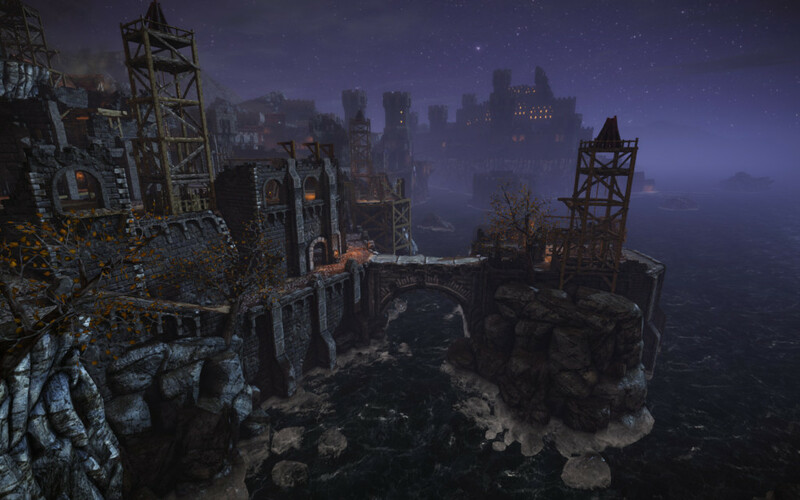 Torn Banner Studios have opted for using the Unreal Engine 3. Graphically this is a major upgrade from the Source engine, which they used for their previous game, the Half-Life 2 mod Age of Chivalry. The environments are detailed and lively, armors and weapons are shown with great details as well. Looking at the battlefield really is a joy to behold with blood and guts flying everywhere. For the most part the game looks great, but there are some caveats. There is a noticeable delay when the textures load and around moving objects a little aliasing is visible, but it’s not too bad. In combat, the animation is very fluent and realistic, but outside of it, some movements feel stiff and forced. 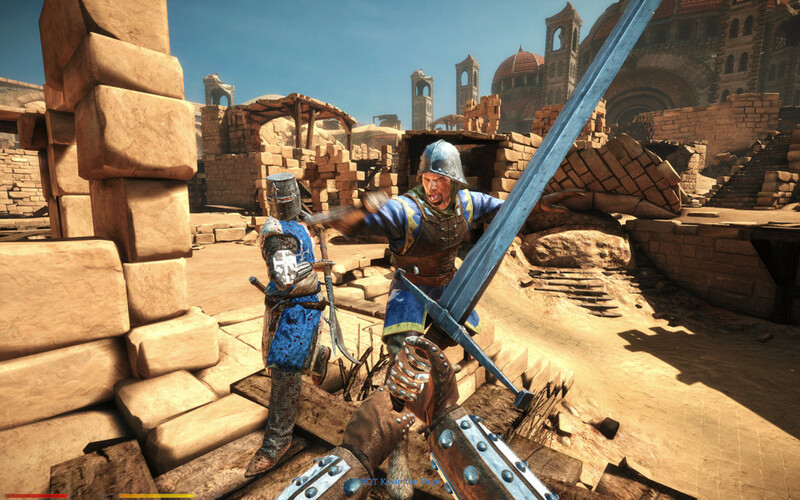 Most indie games suffer from minor graphical glitches at release, and Medieval is no exception: soldiers with an arrow stuck in his throat for the entire game, the camera occasionally going crazy, gates and other moving objects getting stuck in the air,… Nothing that has any impact on the gameplay however. The battleground sounds like a mixture of the twang of metal on metal, men shouting and the background noises of some sick 80’s horror movie. You can hear bones crack, men howling in pain after being doused in boiling oil and blood being gurgled up. It really sets the mood and gets you all excited about dismembering your fellow men. Lovely. The tutorial level has some dialogue and you can also perform various taunts and shouts in the game. These were obviously recorded by amateur voice actors and they are hilariously cheesy and over-the-top. It all adds to the fun factor. 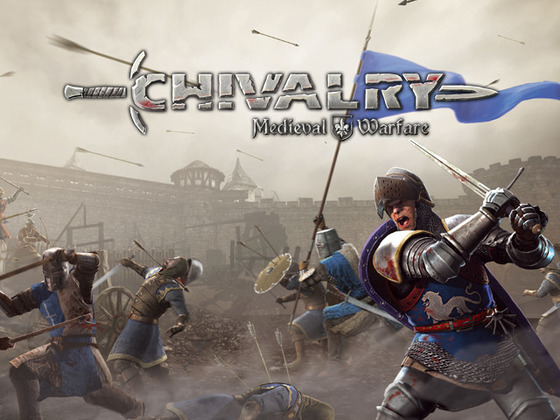 Almost the entire game revolves around the simple but deep melee combat system: a click on the left mouse button results in a horizontal stroke, scrolling the middle mouse wheel up yields a horizontal stab and scrolling down produces a hard vertical blow. The right mouse button is used for defense: either you hide behind your shield if you have one equipped or you attempt to parry an incoming blow. Timing is everything. You must parry within half a second of a blow making contact to effectively avoid getting your head chopped off. If you have enough stamina left, you can also string together combos, which allow you to make two swings in quick succession. Getting hit by a combo is usually fatal and your opponent will of course attempt to break it by interrupting you when your swing is still charging. An attack can also be feinted in a attempt to get an opponent to block too soon, leaving them vulnerable for your next attack. Let us not forget about damage localization either. Delivering a blow to the head will do a lot more damage, to the point of being able to decapitate enemies with a single blow directly. Health regenerates automatically but very, very slowly. Running from the heat of battle is seldom an option. Sounds easy you say? The game also includes four different classes, all of which have different strengths, weaknesses and play somewhat differently. The Archer can select either the longbow, the crossbow or make use of javelins, either for stabbing or throwing. They are lightly armored and quickly get chopped to bits at close range. The Man at Arms’ armor isn’t much better than that of an Archer, yet they don’t have arrows to shoot and must get in melee range to do damage. They are however the only class that can also dodge attacks, aside from the parrying other classes possess. The Man at Arm is fast, very deadly and difficult to hit when played right. The Vanguard have medium armor and have access to longer weapons like the poleaxe and the spear. They are the only class that can perform a charge and can inflict massive damage with a single blow. Getting close is everything, as their weapons have the longest reach. The final class is the Knight. They are heavily armored, run around big swords, mauls and axes. They pack a hard punch, but suffer from very limited movement speed. 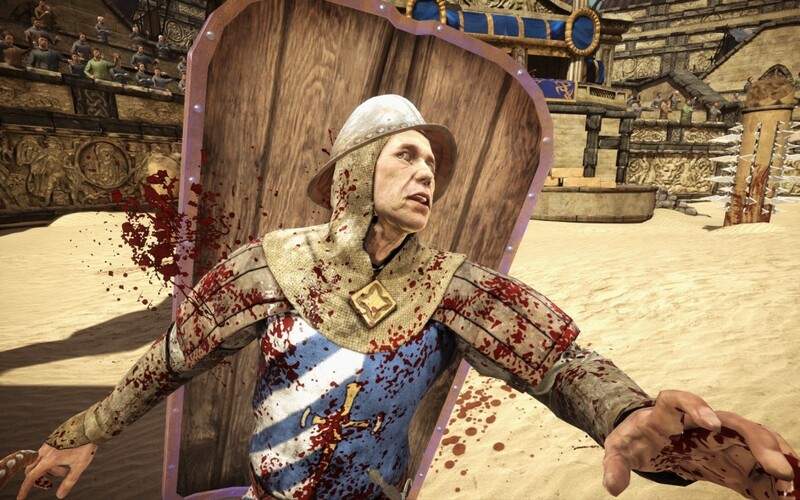 Chivalry: Medieval Warfare is not a perfect game, but what it lacks in polish, it makes up in fun. The game feels a bit lacking in content at the moment, as there are currently only six maps available for play. But because of the various game modes (Team Deathmatch, Free-for-All, Capture the Flag, King of the Hill and Team Objective), the game offers enough variety for now. We’ll have to wait and see if Torn Banner Studios give enough support in the coming months and add enough new content to the game. The game is currently on sale for the budget price of €23 on Steam and that’s a fair deal in my opinion. You get what you pay for and more.